T.I. 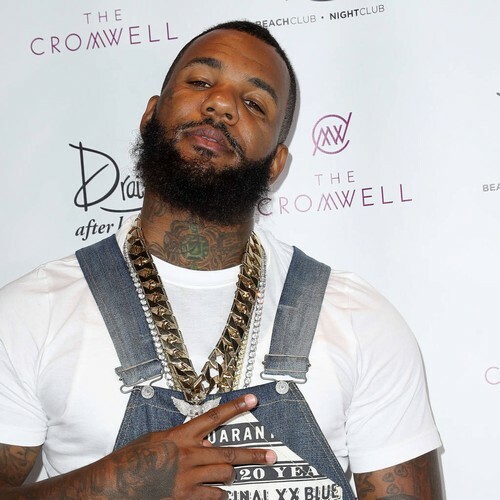 and The Game have taken aim at fellow rapper Kodak Black over comments he made about the girlfriend of slain star Nipsey Hussle. Kodak has been targeted online for making insensitive remarks about Lauren London as she mourns the death of her longtime boyfriend. In an Instagram Live video, the Dying To Live rapper suggests the actress and singer is a "whole widow out here", adding he’s willing to give her "a whole year of crying and s**t" before making a play for her. "I'll be the best man I can be for her," he says. Kodak was dragged on Twitter over the weekend and now a disgusted T.I. has taken shots at the young rapper in a new video, urging him to "fix that s**t - quickly!" He adds, "You gotta pocket it, n**ga. If I see you, I'm saying it to your face... Get you motherf**kin' self together!" And The Game went even further, stating: "This is to Kodak Black or anybody disrespecting my n**ga’s legacy, his family... Keep my n**ga name out your f**king mouth, n**ga! Keep his girl’s name out your f**king mouth, n**ga! (What's) the f**k wrong with you new n**gas...? This new generation, y'all f**ked up in the head. "This s**t's for real. My n**ga died out here in these f**king streets." Tank also urged Black to apologise for his ill-advised comments, which have landed the rapper a ban on a handful of Los Angeles-based radio stations. "That's not it," he says in a new video, stating the Florida-based rap star should have listened to the "guy next to you", who suggested his remarks were "too soon". "You gotta get outta that," Tank adds. "There's a lot of factors at play here... You do business with us at Atlantic Records. That's a tough spot to be in. Get out in front of that, man." Meanwhile, Diddy has offered up his tribute to Nipsey, who was shot and killed outside his Los Angeles clothing store on 31 March (19), insisting black people have got to stop killing each other. "There’s NOBODY responsible for US except for US," he writes on Instagram. "It has to STOP now. NO MORE hurting and bringing down your fellow brothers and sisters. Tap into LOVE. Remind yourself we are KINGS and QUEENS and reprogram your mind every day. "WE’VE BEEN AT WAR WITH OURSELVES. It stops now. I’ll do my best to uplift, love and heal my people. But the responsibility lies with YOU! What are you going to do? You must be responsible for yourself!" Diddy appeared on Nipsey Hussle's debut album, Victory Lap.